While all the adults are eating and listening to speeches, children can get very restless, so why not let us entertain them with our play bus, at your wedding venue. It’s fun for the kids and they enjoy the whole experience more – you’re not being mean you’re actually being a great host by putting on something that’s especially for them. Sometimes the kids feel relieved when they see the Double Decker Den Party Play Bus. Why not let us feed them for you too so they can have their favourite party food rather than trying to eat what all the grown ups are having. Most venues have gardens and grounds and the kids can play safely near the bus outside – no worries about traffic – so please check with the venue that there is a safe place for Double Decker Den to park with easy access in and out. We need power for the bus, so please check the availability of power points at your venue. 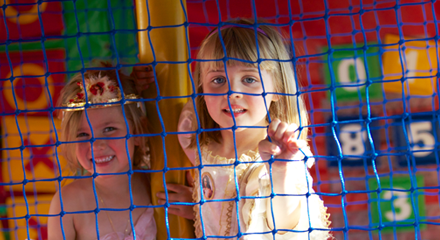 Bring a spare change of clothes – the slides and crash mats are more fun in play clothes than smart wedding outfits. Why not get your wedding photographer to pop on board and capture the kids having the best fun! We can meet the dietary requirements of the children attending your wedding. We recommend having no more than 15 children on the bus at any one time, so by having a longer booking, all the children (even the big ones!) have plenty of time to play on the bus. We are flexible and try to accommodate you with a personal approach. Price start from £285 for a 3 hour slot. Food or our party optional extras are in addition to this. 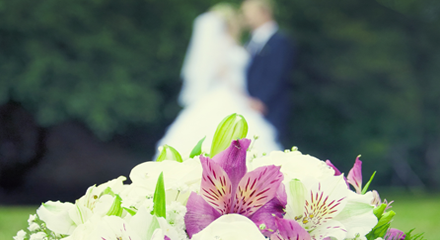 Contact us to discuss your wedding day requirements. For the latest Double Decker Den news and comments, follow us on social media.